You have no doubt been in a situation where you’ve had to slam on your brakes, thankful that they work so well. Applying your vehicle's brakes is an example of stopping kinetic energy, which is present when your car is moving. Most automobiles today have anti-lock brakes. The ABS, or anti-lock braking system, is a four-wheel system that modulates braking pressure automatically during a quick stop. When the brakes are engaged, fluid is forced through a set of valves from a master cylinder, causing pressure that is transmitted to the hydraulic control units at each wheel. 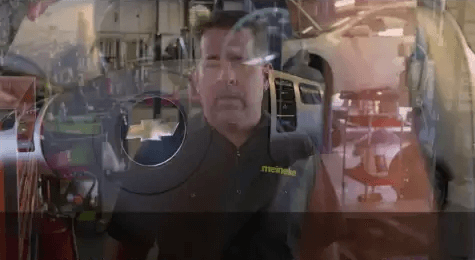 You can learn more about ABS from the pros at Meineke #407 in Arnold, MO. Brakes are the most important safety feature on your car. While people sometimes procrastinate on repairs, a problem with your brakes means that you should stop driving your car and get it checked right away. A crucial part of keeping your brakes in good working order is using the right brake fluid and replacing it on time. There are several types of fluid, including silicone brake fluid and mineral brake fluid. Failing to replace brake fluid on time can cause it to absorb a high percentage of water and compromise your brakes’ function. 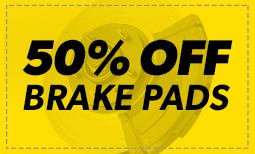 To get an estimate of brake fluid cost for your car, speak with technicians at Meineke #407 in Arnold, MO. Most ABS systems have multiple sensors built into the system to alert you when the brakes need service. A light on the dashboard might illuminate or you may feel that it takes more effort to press the pedal when braking. Another sign of ABS brake failure is that the brakes lock up while heavy braking. You may hear random clicking noises or feel your brakes trying to pump themselves. This is an indication that something is not working properly. For ABS brake service, bring your car to Meineke #407 in Arnold, MO for quick and convenient repairs and maintenance by our professional technicians. Your first consideration before driving a vehicle should always be safety, especially when you are transporting passengers. The anti-lock brakes often put up the first red flags that your car is in need of maintenance. That funny scraping sound you hear could be an early warning sign of trouble. Your brake pads may be wearing down and if you let the problem go too long, safety might become a very real concern. In addition, worn brake pads can lead to further vehicle damage. Nip these concerns in the bud by taking your car or truck to Meineke #407 in Arnold, MO, for ABS brake service. Maintaining your anti-lock brakes often prevents costlier repairs, but most car parts do need to be replaced at some point. When it’s time to upgrade to newer parts, bring your vehicle to Meineke #407 at Arnold, MO for service by professional technicians. Over time the technology for ABS brakes has changed, making them more efficient and giving you greater control over your vehicle in adverse driving conditions. We have all the information you need about your anti-lock brakes, service, repairs and brake fluid cost. Let our technicians help you stay safe on the road, no matter what Mother Nature sends. Scheduling an inspection for your anti-lock brakes at regular intervals is the best way to keep repair costs from mounting. Remember that service may be as simple as adding brake fluid, a component that costs just a few dollars. Silicon brake fluid and mineral brake fluid are widely available, and they may be among the products used by Meineke #407 in Arnold, MO, when you come in for ABS brake service. The specialists here can diagnose any brake problems you might be having and resolve the issues promptly in order to save you greater expense down the road.